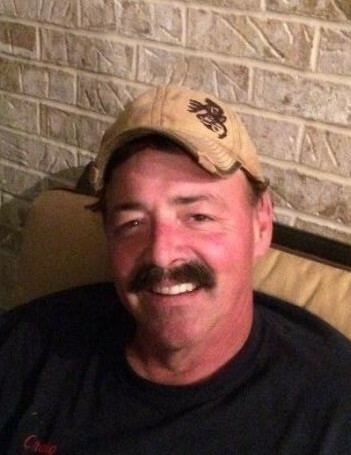 Craig A. Miller Sr., 56, of Danville, died peacefully during a breath taking sunset on Sunday, January 27, 2019 at his home. Surviving is his loving wife, Tara D. (Stephenson) Miller, who faithfully stayed by his side. Born April 23, 1962 in Williamsport, he is a son of Melvin A. and Bonnie J. (Brion) Miller. A graduate of Williamsport High School, Craig also earned a degree from WACC in carpentry. For the past 35 years he worked at Kellogg's as a maintenance mechanic, and enjoyed being surrounded by wonderful coworkers. Craig could often be found outdoors, his favorite place to be. From being at his cabin at the French Settlement, to boating and cutting firewood which he absolutely loved to do, he always found something of interest to enjoy the outdoor beauty of Northern Pennsylvania. Craig liked pruning his apple trees, pressing apples and making apple cider. Most of all he loved spending time with his family. He adored his children and but took great delight in his grandchildren who proudly called him "Happy". Craig's easy going, friendly, personality, made him a delight to be around and easy for him to make everyone laugh and will be missed by all. Surviving in addition to his father of Williamsport, and wife are three children, Craig "CJ" Miller Jr. (Carly) of Cogan Station, Ashley M. Miller (Shaun McCollum) of Williamsport, and Sean M. Sebasovich of Danville, five grandchildren, Gavin, Gaige, Briana, Ethan, and Cody, four siblings, William A., Eric S. (Keri), and, Marc D. (Beth) Miller and a sister, Karen E. Lechler (Doug), several nieces and nephews, a large circle of friends, and his dog Duke. In addition to his mother, he was preceded in death by his beloved dog, Bear. The family will receive friends from 9-11 a.m. and 3- 5 p.m on Tuesday, February 5, 2019 at Sanders Mortuary, 821 Diamond Street, Williamsport. A memorial service to honor the life of Craig will be held privately. In lieu of flowers the family suggests contributions in Craig's name be made to Heartworks Grief Support Group, 1100 Grampian Blvd., Williamsport, PA 17701 or American Cancer Society, 1948 E. Third St., Williamsport, PA 17701 c/o: Road to Recovery.